SM Megamall’s 3-DAY FOOD SALE! 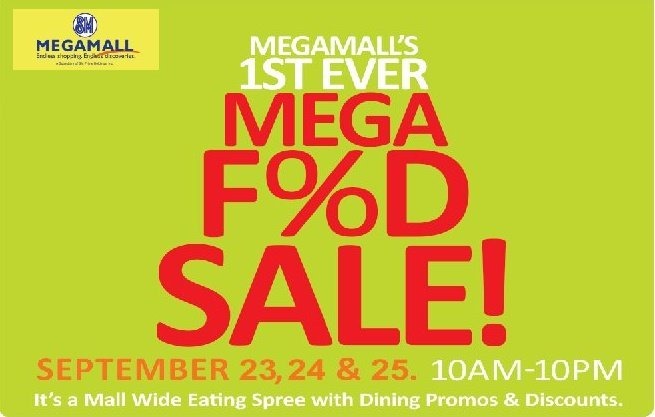 Don’t miss SM Megamall’s first ever 3-Day Food Sale on September 23 to 25 from 10:00am to 10:00pm! Promo includes Burger, Dimsum and Churros all-you-can, with up to 70% off on selected dishes at SM Megamall Foodcourt and many more. You are Here >> Home » Events » SM Megamall’s 3-DAY FOOD SALE!